Yes, the novel is as gorgeous as the cover. Ethereal, impactful*, vintage and evocative. The heroine, Maribel, is the vivacious wife of parliamentary representative Edward Campbell Lowe. Himself a boisterous, outspoken politician, the two make an unforgettable pair, if an unlikely one. Maribel employs her energies in photography, working to capture true images — something all too elusive in Victorian London. She attempts to find some truth among the Native Americans that are in London with Buffalo Bill’s Wild West show. Ever the gracious host, William Cody is welcomes her into his massive encampment. 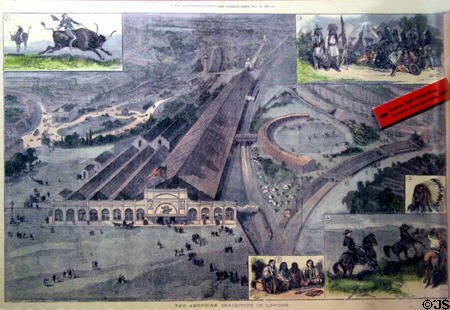 The American Exhibition in London, 1887. Maribel also make subjects of her dear friend, Charlotte, and unfortunate ruffians of London’s less affluent neighborhoods. One of these photographs is smudged in such a way that spiritualist believe it to be an example of supernatural intervention. Ever the realist, Maribel staunchly denies such a claim and refuses to allow its publication. 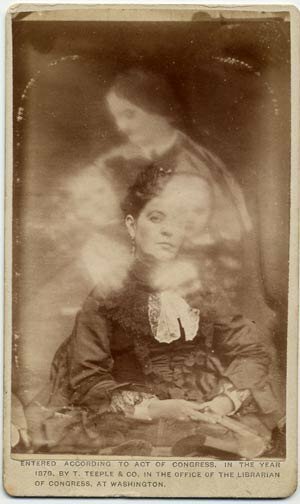 A Victorian era “spirit photograph.” Images were double-exposed for this effect, but because the medium was so new, most sitters were unaware of the trickery. This is but one of Maribel’s struggles to uphold truth in a world so reliant upon appearances. But Maribel hides a secret of her own. 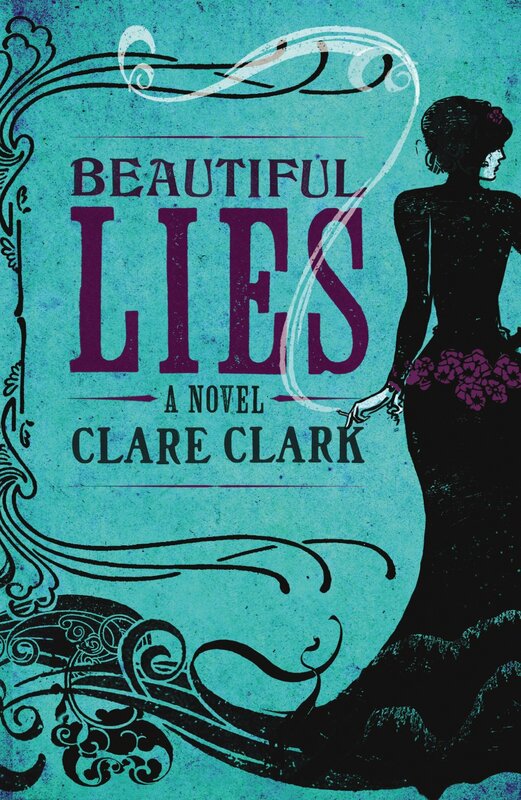 As she tries to help her own husband succeed in Parliament, she risks peeling back the layers of her own beautiful lies. In the midst of all of this, tabloid journalism is on the rise in London and a ruthless bloodhound of a newspaper man is on her scent. The prose is honest and modern, despite the vintage setting. Sentences roll and swirl and drip off the tongue. This novel is exceedingly well-written and very engrossing. It clocks in at an even 500 pages, and easily could have devoured 500 more. A great many thanks to Houghton Mifflin Harcourt for the review copy. *I’ve just had a very intriguing conversation with @cliche_mist about my use of the word “impactful.” I admit that I was doubtful when I wrote it and so I looked it up. I did find it listed in Merriam-Webster’s dictionary. Still, my learned friend contends that standard usage dictionaries often allow for slang and non-words to gain a foothold in the English language. What are your thoughts?